There is no requirement that our elevators cannot meet! Maspero Elevatori is leader in engineering and manufacturing of any kind of elevator for every need and purpose. Our Company’s unparalleled know-how and design skills, contribute to offer unique vertical automatic lifts and customized solutions for private elevators – as well as public or industrial – or real pieces of design for the most prestigious showrooms. 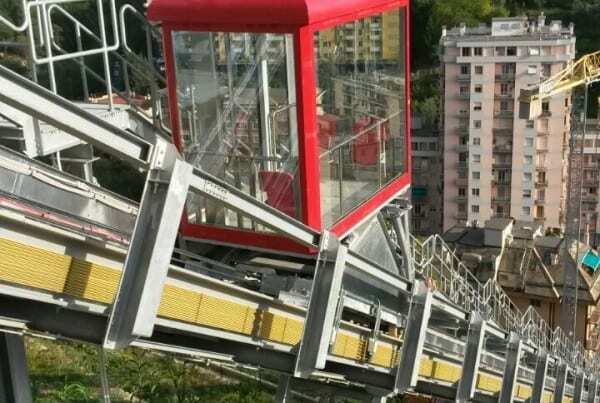 There is no slope our inclined elevators cannot climb, it does not matter if the path is curvilinear, if there are changes in gradient or if the terrain is rough. Maspero Elevatori has a solution even for the most challenging installations. Do you want to comfortably access the beach from your own house or your elevated living place? Do you need to reach a peak or have a passenger lift able to climb along a narrow route? With Maspero Elevatori, everything is possible! Every project is special with Maspero Elevatori, but some are possibly even more special, as we have to face unprecedented challenging technical requirements. Let’s say that you have to install an explosion-proof elevator on an offshore oil rig, or that you need a freight elevator that has to move fully loaded trucks and then… disappear into the pavement: well, there’s no problem for us! 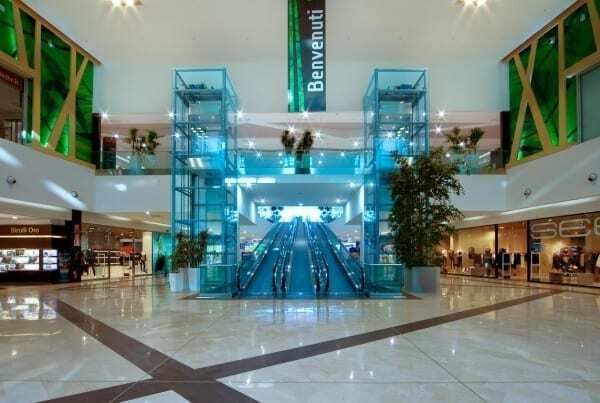 Among these special projects, we build escalators, moving walkways and platforms. Whatever your request may be, Maspero Elevatori is the right partner for your project. Thanks to a winning mix of features and advantages, we will deliver an excellent solution from every point of view for the lift design in line with your needs. 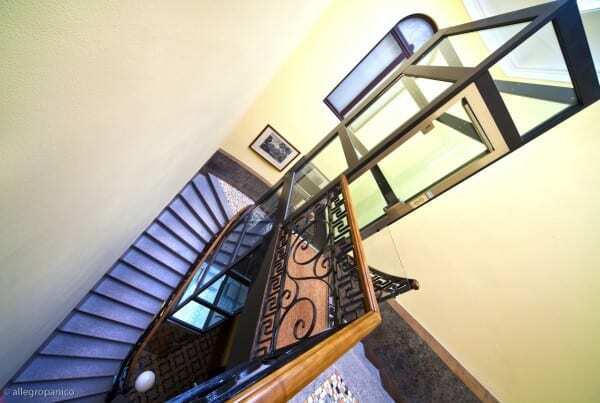 Maspero Elevatori is an undisputed leader in designing, manufacturing and servicing elevators. 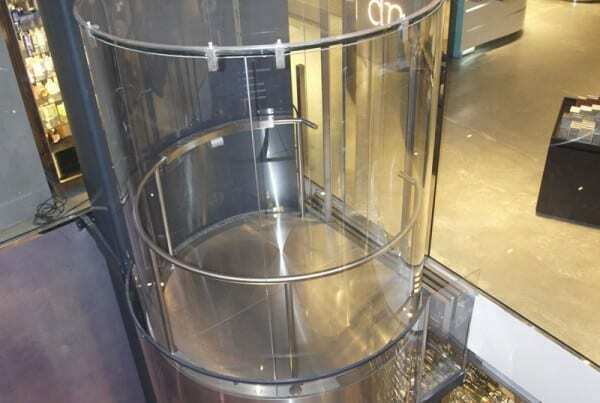 Our products are made in Italy and custom-made for every use, from the private lift to the public elevator, up to special plants for the industrial sector, freight and electric elevators, moving escalators and walkways. Today the Company serves the whole world through subsidiaries and partnerships. The production, entirely made in Italy, is based in Appiano Gentile, near the lake of Como, in northern Italy. Every project is unique and it is a challenge that we always win quality, technology and style-wise. Be inspired by our latest case histories and by our small and commercial lift projects. One day you may find your own elevator here!